Barbara Hepworth, born 1903-1975 studied sculpturing at Leeds school of art in 1920 for a year. Hepworth was successful with her sculpturing and exemplifying modernism. using the movement of modernism Barbara was prominence with her creations. Hepworth worked in a variety of dimensions, scales and exhibitions. The interesting thing about Hepworth is how she see’s the world, in my opinion Hepworth creates these sculptures in unusual structures almost like she creates the shape the wind would fly off. The way she pierced the holes with deep volume that’s effected by the shape. Hepworth saw different elements from the earth that influenced her sculptures, such as the wind, Hepworth formed balance and mass of her sculptures influenced on the elements of the earth. 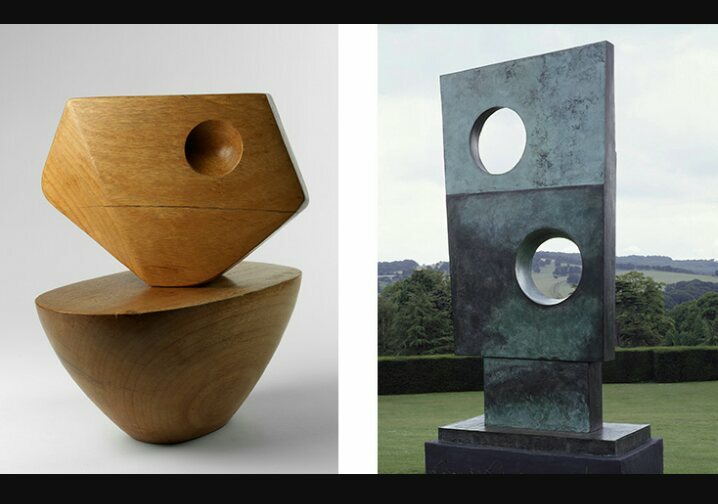 for this reason i find Hepworths work beautiful, not just how she sees the world and how that influenced and has effected her style but how she problem solved with a variety of strong bold materials, such as wood, bronze, stone. 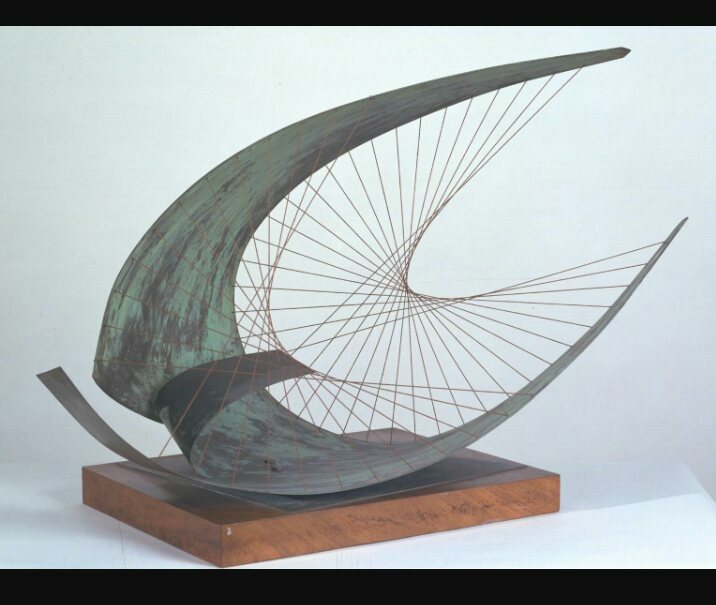 I also like how Hepworth uses string to create a busy, more eyecatching effect to her work.